Established in the year 1987, we “Amrit Sales Corporation,” are industry leaders in promotional solutions. 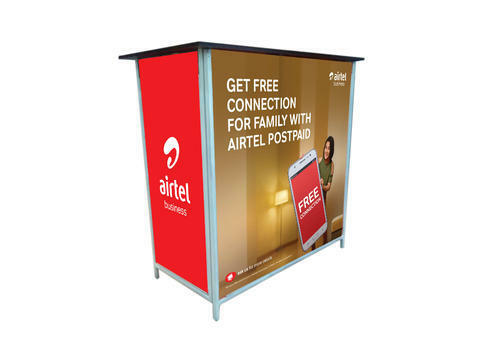 Offering our Products as Manufacturers and Exporters in this field, the solutions offered comprise Outdoor Promotional Products, Promotional Demo Tent, Falcon Flag Banner, Pop Up Display Stand, L-Banner Display Stand, Advertising Promotional Table etc. Working with some of the fortune 100 companies, we offer our clients the best possible value for their advertising money. The involved business operations are handled by experienced management led by Mr.Sarabjeet Singh Sethi, has over 30 years of experience and expertise in this business area. His in-depth knowledge of the market has helped us as a team to achieve high growth targets by delivering quality finished products as per the expectations of the customers. We have also launched our Sub-brand exibu that focuses on Premium Out of the box Exhibition, brand activation and retail solutions.